At least she got a reality TV show out of it. McCain just got disrespect. 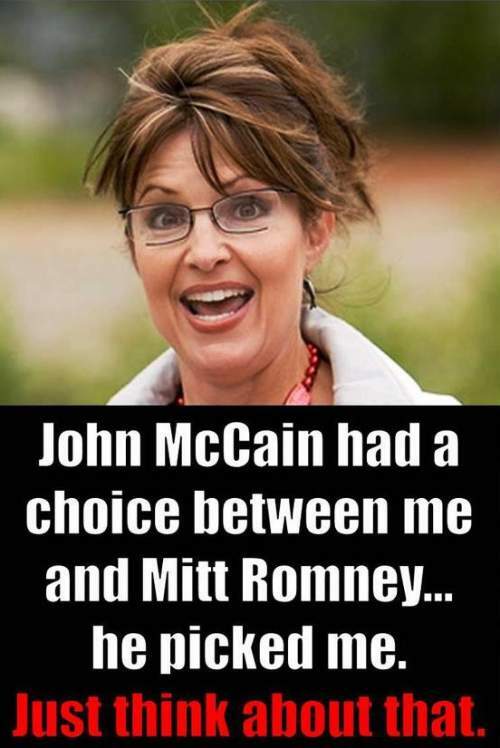 If John McCain wanted a woman on his ticket he could have picked Olympia Snow of Maine. If you hear Olympia talk for half a minute you shut and listen becuase you immediately sense the passion, intelligence and genuineness (is that word?) coming from her. Middle of the road, able to compromise and has always tried to do what’s best in a give circumstance. Instead John picked…OMFG.